Job Hunting? 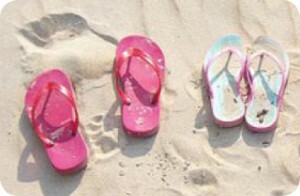 Join the PA Breast Cancer Coalition Staff! Posted By Natalie on January 31st, 2013 at 4:24 pm | 1345 comments. The PA Breast Cancer Coalition is seeking a highly motivated, experienced, energetic professional to fill our Donor Database Management position. The Database Manager position provides an opportunity for an exciting, challenging and rewarding career. This person is responsible for the overall constituent and data management of the PBCC. He/she will have excellent time management skills, be very detail-oriented and interact well with all levels of staff, board and volunteers. $28,000-$32,000– dependent on education and experience. This position offers a competitive non-profit salary and excellent benefits. Please submit the following to Jobs@PABreastCancer.org with “Database Manager” in the subject line: Cover letter, Resume, Salary requirements. No phone calls please. *The PBCC office is currently located in Ephrata, however in May 2013 we will relocating to the Lebanon area. 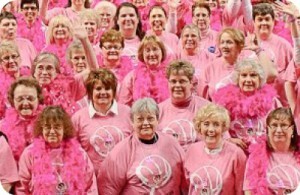 The PA Breast Cancer Coalition is an Equal Opportunity Employer. Posted By Natalie on January 21st, 2013 at 4:06 pm | 1520 comments. Life’s most persistent and urgent question is, ‘What are you doing for others?’ – Dr. Martin Luther King, Jr.
On this Day of Service, we’re looking back on the hundreds of volunteers who chose to do something for others in 2012 with the PBCC mission in mind. From catching fly balls at Home Run Derby outings to reviewing grant applications to assembling and personalizing Friends Like Me care packages and more, 225 people donated their time to the PBCC last year alone with a total of 1,496.75 hours! We cannot say “Thank You” enough for your time and dedication. We hope to see even more new faces in 2013! Posted By Natalie on January 15th, 2013 at 1:35 pm | 989 comments. We have had a lot to celebrate since 1993! The PBCC has been a part of groundbreaking research, legislation, education and outreach. And we could never have done it without our incredible survivors and supporters. When I think back on the 20 years since founding the PBCC on July 17, 1993, I am proud and thankful. 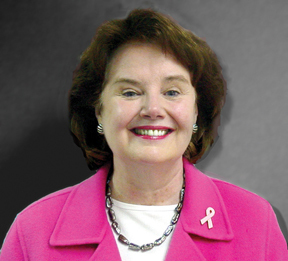 We have had many successes over the past two decades, but most important is the voice we have been able to give breast cancer survivors across the state of Pennsylvania. And we’ve only just begun. The future is bright and our goal remains the same, “finding a cure for breast cancer now… so our daughters won’t have to.” Let’s make 2013 our best year yet! Posted By Natalie on January 15th, 2013 at 1:35 pm | 1299 comments. In our fight for a cure, the key is research. The PBCC is committed to funding that research through its Refunds for Breast Cancer Research campaign. 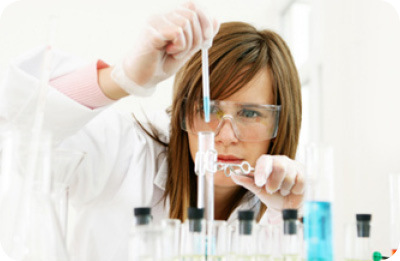 With YOUR help, the PBCC is able to fund local research projects. Refunds for Research has awarded nearly $3 million dollars in research grants to date. This tax season, please consider donating your state tax refund to breast cancer research. You can bring us closer to a cure! Look for more information on Refunds for Research in the coming weeks. We will be featuring information on each grantee in our upcoming publications. Posted By Natalie on January 15th, 2013 at 1:34 pm | 1399 comments. 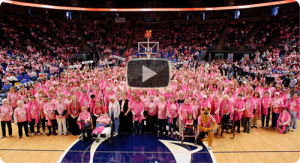 On Sunday, February 24, 2013 the Penn State University Lady Lions will take on the Michigan Wolverines in the 7th Annual WCBA Pink Zone game at the Bryce Jordan Center. 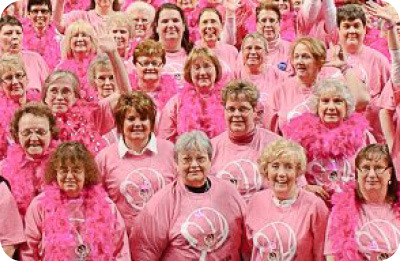 Since its inception, Pink Zone has raised more thousands for many breast cancer education, research and groups like the PBCC. Breast cancer survivors may register for up to 4 free tickets to the event. Each additional ticket will be available at a discounted rate of $5. 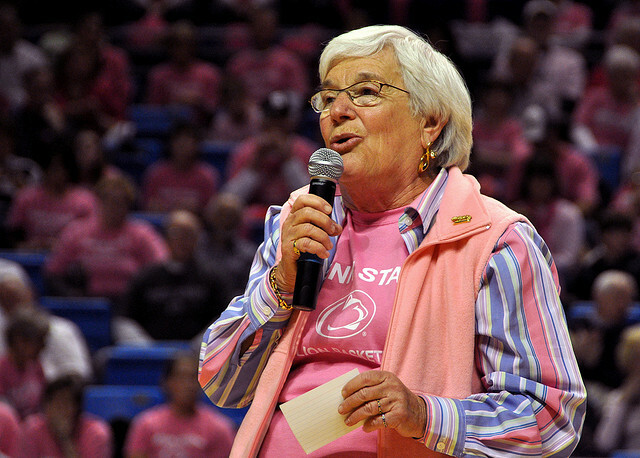 Survivors are also invited to take part in a special halftime performance as well as a post-game survivor reception. We hope you’ll join the PBCC, the more than 500 survivors, thousands of fans, athletes and students for this incredible event. To register, visit www.pennsylvaniapinkzone.org. Posted By Natalie on January 15th, 2013 at 1:34 pm | 124 comments. When I was diagnosed with inflammatory breast cancer, the oncologist told me that I had only four months to live. I said I wanted a second opinion and he supported that idea. I had a deep-rooted belief that God had a purpose for me, and my faith grounded me throughout my medical treatment. 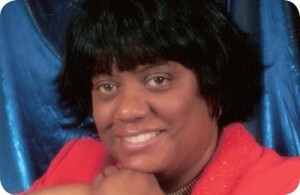 On February 8, I will celebrate 23 years as a survivor of inflammatory breast cancer. I believe that God gave me an opportunity to prove that you can live with this disease, and to be a beacon of hope for other women. I live each day to the fullest. I believe that one person can make a difference and that every person should try. Seven years ago I founded the support group Sisters in the Fight for a Cure, and I represent Chester County in the PBCC’s traveling photo exhibit. Last October when I attended my sixth PBCC conference, I brought my 43 year-old niece with me who is now a two-year survivor of stage 4 breast cancer. I volunteer my time to speak and to participate in events. Any time I speak in public, I tell people that you have to make a decision. You have to choose life. You have cancer, but cancer does not have to have you. Twenty-three years of surviving inflammatory breast cancer! I am blessed and still going strong. Posted By Natalie on January 15th, 2013 at 1:34 pm | 1715 comments. Reconnect, Relax and Celebrate Life! Posted By Natalie on January 15th, 2013 at 1:34 pm | 2812 comments. A recent study presented at the San Antonio Breast Cancer Symposium found that women ages 35 and younger were more likely to respond to pre-surgical chemotherapy than older women. 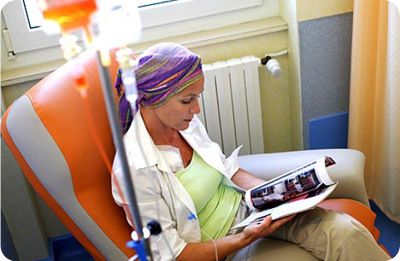 Researchers at the University of Frankfurt evaluated data from nearly 9,000 women of all ages with operable or locally advanced nonmetastatic breast cancer treated with pre-surgical chemotherapy. Their findings show the pathological complete response rate was significantly higher in very young women – 23.6 percent – as compared to 15.7 percent among older women.